Whether you're out on the ice, finishing a long day on the river, or just doing some tailgating, these collapsable koozies are the perfect accompaniment for an ice cold brew. 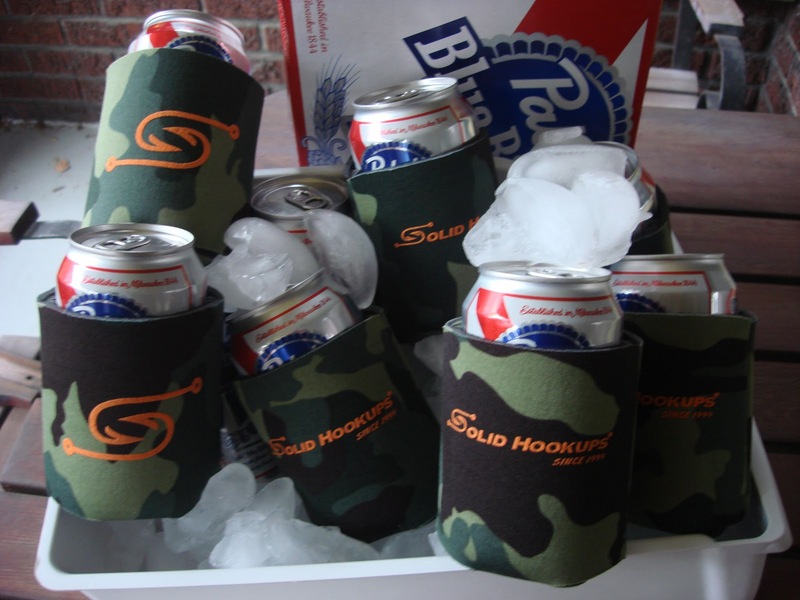 Rep the Solid Hookups at your next outing with your very own camouflage koozie. Pick some up under the Goods section. Keith, I won't be in Boston probably for a couple months. I am in KY now. However, I did flat rate, so its 5 bucks to ship no matter how many you buy. I know, its a bit annoying. what are the odds i can have mine arrive before 5 pm on friday?